Conservatory – Our neighbours fence is back in place. The weather was much improved and the guys were able to get down to work without interruption. 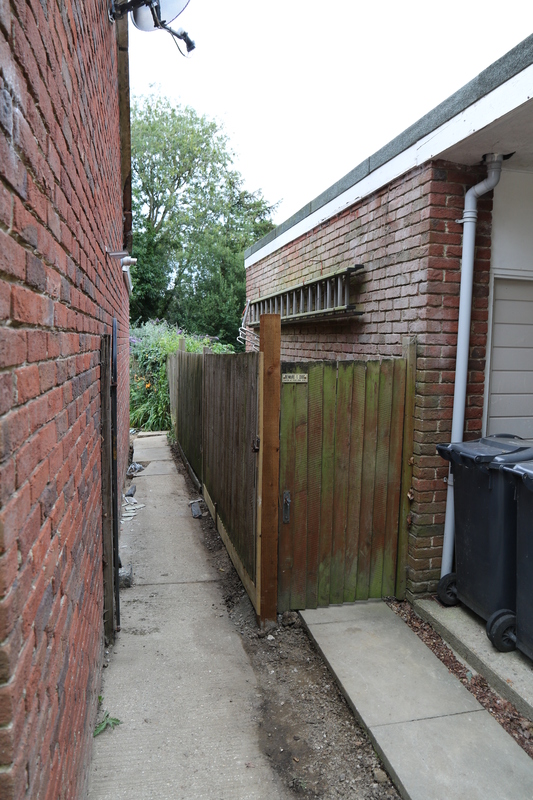 I’m pleased to say that my neighbours fence panels and paving slabs have been re-instated. They have been very patient with us and the temporary incursion into their garden. 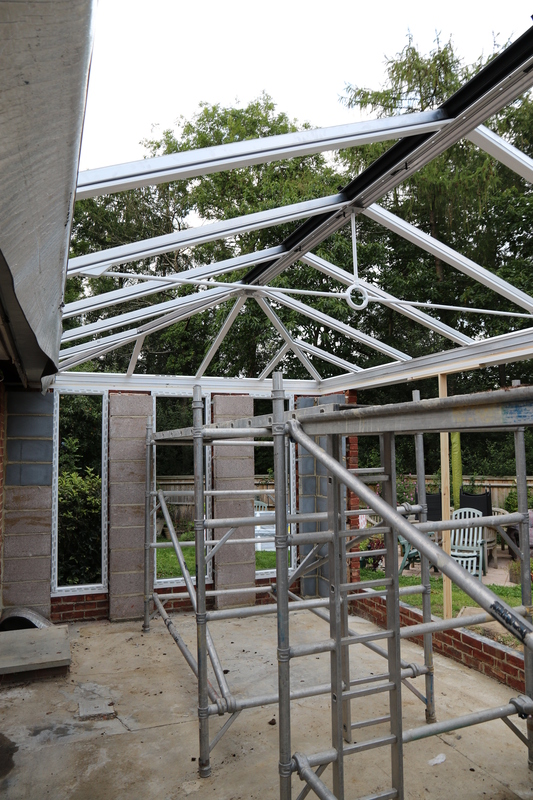 A days worth of assembly and we now have the framwork for the roof glazing in place. 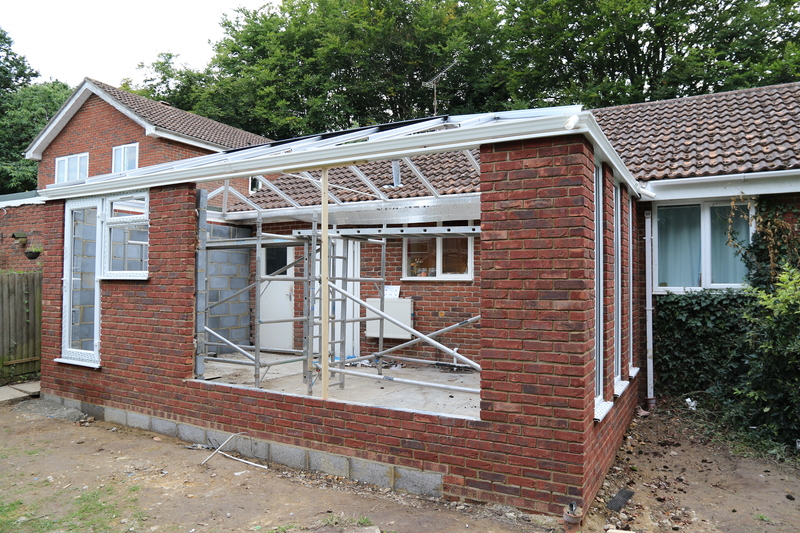 We also have the guttering around the perimeter along with a large box gutter which will serve both the conservatory as well as collect rain water from the house roof. None of this will be visible once the cornice work is installed. Planned for the next day or so. With the roof framework in place the final size and shape is becoming clearer. This entry was posted in Local (To Me !!!) and tagged box gutter, conservatory, Executive Windows, frame, gutter, roof. Bookmark the permalink.